This pasta recipe, from Alison Roman’s cook book, "Dining In," is super easy, super buttery, and loaded with savory mushrooms so it checks off all the boxes for a perfect dinner. My roommate is vegan and she also tries to cut gluten out of her diet. She loves to experiment with cooking and often asks me to try her new recipes. When she made me these vegan, gluten-free protein brownies a few months ago, I was skeptical if I would like them, but they tasted amazing! This recipe calls for pumpkin purée, which I was skeptical of, but you could hardly taste it at all, thanks to the masking flavor of the cacao powder and almond butter. IMO, the best part of this recipe is the avocado frosting. You sort of need to perfect it to get it to the right "frosting" consistency. I'd suggest using a thick nut-butter and just a bit of the liquid ingredients. The result is delicious though, and a bit lighter than sugar frosting. 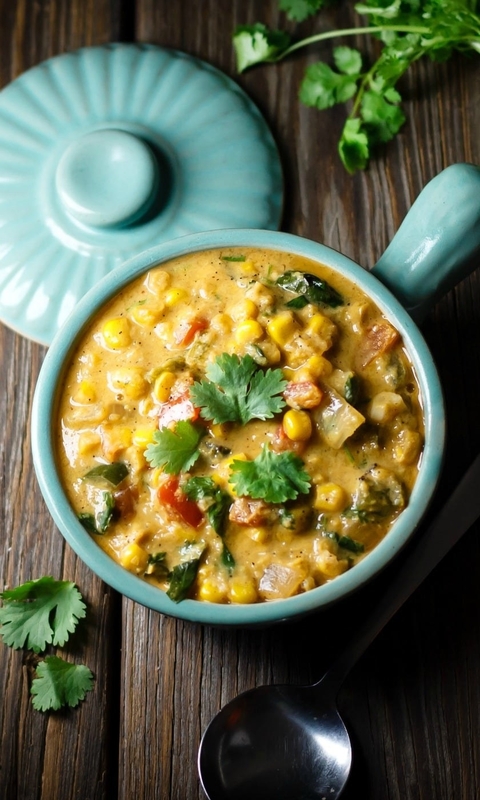 A friend recently gave me four ears of corn and two perfectly ripe tomatoes, so I used them to make an incredible vegan corn and cilantro soup. You can play around with the recipe depending on what you have on hand. I used a red bell pepper instead of a poblano pepper and soy milk instead of almond milk because that's what was in my kitchen. I also added a minced jalapeño for a little kick, used veggie broth instead of water, and skipped the agave/maple syrup because, honestly, I just forgot it. I was looking for a recipe that was similar to my mom's ginger chicken and this one comes the closest. I especially love it because it's a perfect lunch that I can make on Sunday and eat all work week. 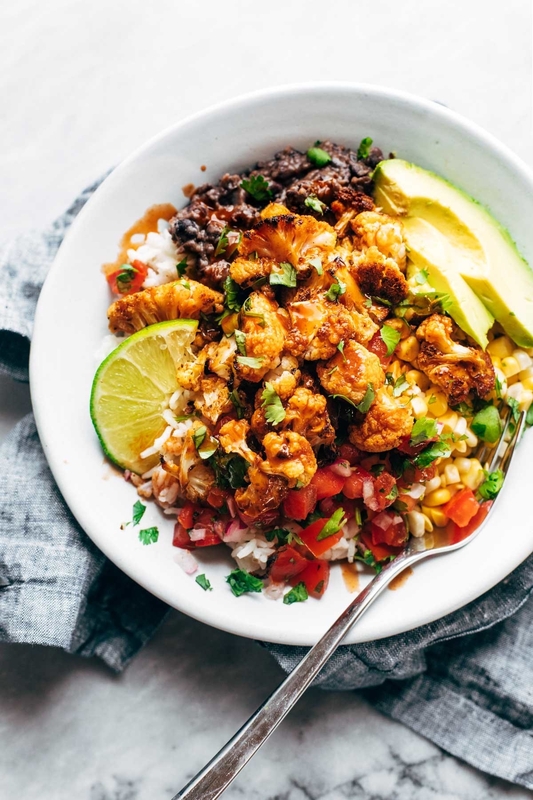 If you're looking for a healthier, cheaper alternative to Chipotle, this roasted cauliflower burrito bowl is the way to go. This bowl is actually vegan, but I don't miss the meat thanks to all of the flavors going on here. 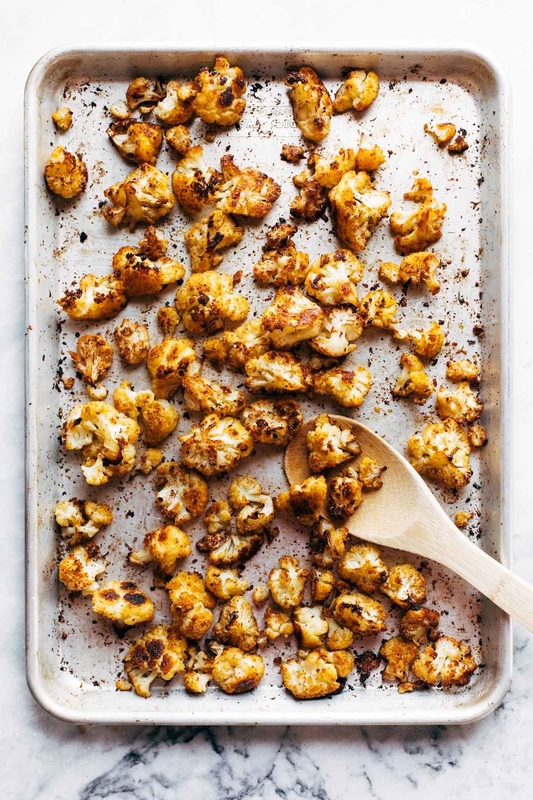 The roasted cauliflower really stands out because you cook it with a generous amount of taco seasoning, and once it's roasted it gets nice and crispy on the outside. 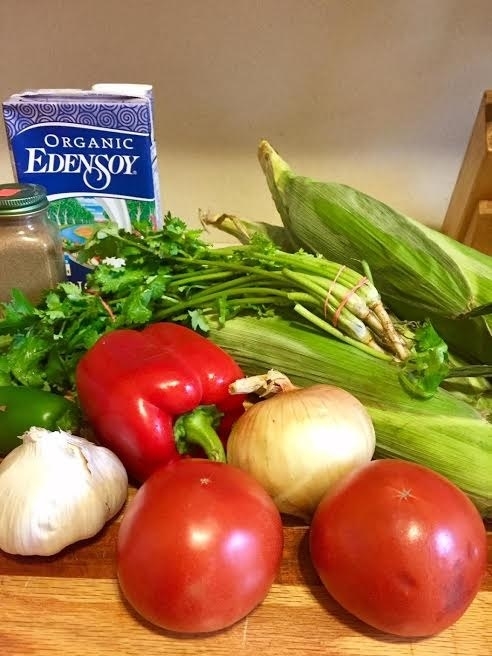 But my favorite part of this recipe is the fresh pico de gallo. It takes a while to chop up all the ingredients, so I always make twice as much as the recipe calls and save some for later. There's one meal that my fiancé and I always agree on: Tacos. And during the summertime, there's nothing more satisfying than refreshing fish tacos. I usually just pick up whatever white and flaky fish they're selling at my local farmer's market like code or hake. The recipe is simple. Just sear two fish fillets in olive oil with salt, pepper, and a little smoked paprika for spice. Then, place them in warmed tortillas and top the fish with sliced avocado and an easy slaw made with cabbage, red onion, carrots, olive oil, red wine vinegar, and lemon juice. I know what you're thinking: Just a few days into fall and you're already experiencing pumpkin spice overload. But my love for the cooler weather and cheesecake keep me coming back to this recipe every year. I came across this recipe in a coworker's round-up of fancy toasts and was immediately sold. I'm a big fan of culinary lavender, and I happened to have tahini on hand from a recent attempt at homemade hummus. Every summer on Martha's Vineyard, my family has a tradition where we go clamming and then at night, we cook a big feast with whatever we catch. One of our go-to recipes is this linguine in clam sauce from Giada de Laurentiis (and don't worry, using store-bought clams still tastes absolutely delicious). While linguine in clam sauce might seem fancy and difficult to make at home, it's actually very easy and comes together in about 40 minutes. 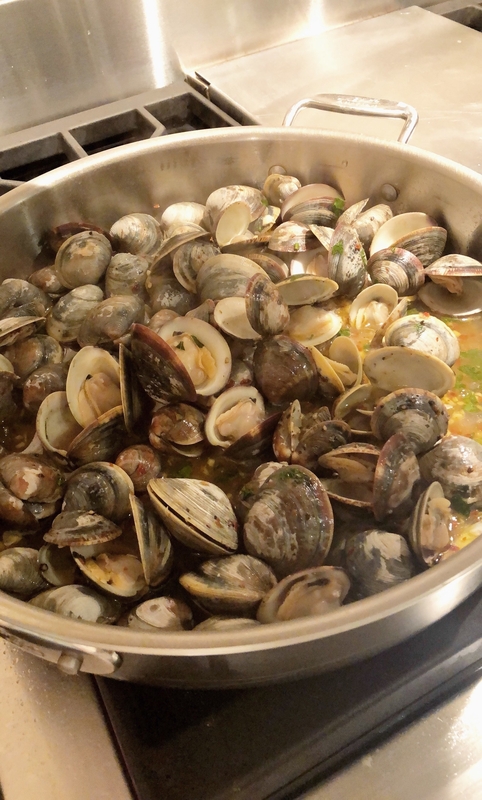 You just simmer the clams in a mixture of olive oil, garlic, shallots, butter, and white wine until the shells open up. Make sure to get rid of any clams that don't open, because that means they're no good to eat. 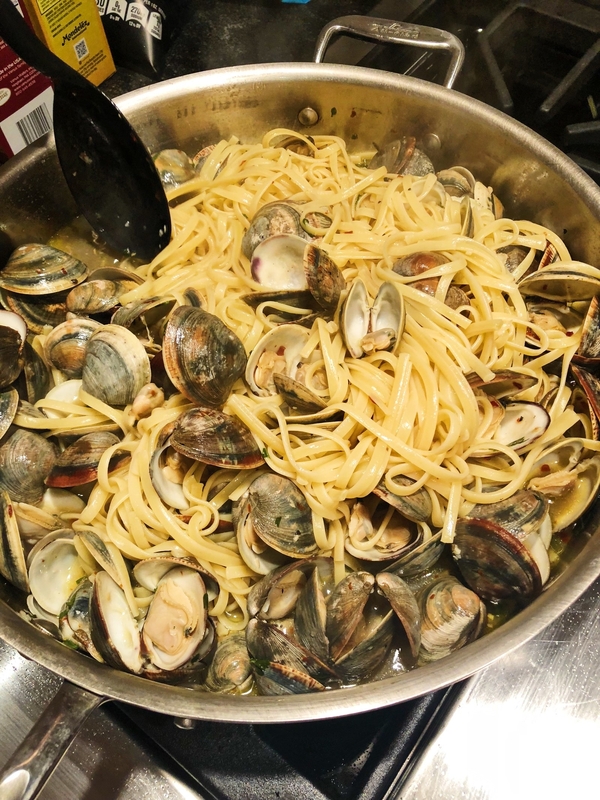 Then, add cooked pasta to the clams and broth and mix it all up. The first time I looked through Nik Sharma's new cookbook, Season: Big Flavors, Beautiful Food, this recipe jumped out to me. As an avid cookie maker (AKA a chronic stress-baker who has a liking for quick, simple projects), I knew I had to try them. The recipe itself is pretty wild. They're made with black pepper, crystalized ginger, hazelnut meal, and a whole bunch of other unusual ingredients. But the instructions are simple. Just mix everything together in a bowl — no creaming, whipping, or special mixing required — and let the dough chill for a while. As the cookies bake, they puff up and get that nice crackly top we all long for. And most importantly, they taste great. I was nervous the cookies would be spicy or the ingredients overpowering, but they were absolutely delicious. Imagine a chewy chocolate chip cookie with little pops of ginger and a subtle heat that creeps in at the end. YUP, they're good. Reprinted from Season: Big Flavors, Beautiful Food, by Nik Sharma with permission by Chronicle Books, 2018.